"So many kids end up lost in the foster care system. But that didn’t happen to me because someone cared enough to show me I was worth it. I honestly think that if I had spent one more day without Volunteers of America, I would be in jail." Sasha, at 15 never imagined that she would be able to trust anyone. She was so accustomed to surviving on her own; it was safer that way. Abandoned by her father when she was a little girl, she grew up in an unstable, neglectful, and oftentimes abusive environment, bouncing between her mother’s home and foster care before finding herself in a group home for teenagers. 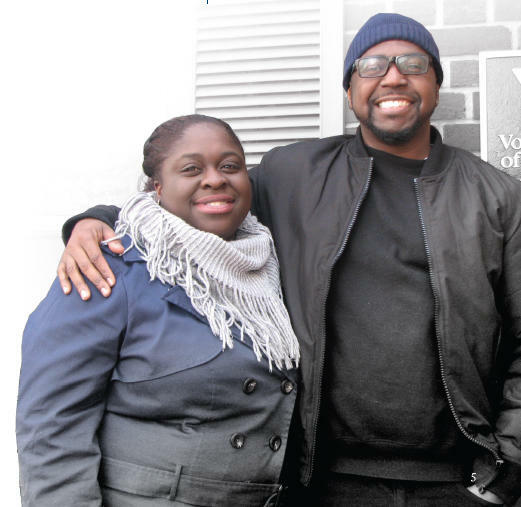 At one critical juncture, when Sasha’s life was particularly unstable, her caseworker suggested she meet with Kevin from Volunteers of America- Greater New York to learn about our Independent Living Program in New Jersey. In Sasha, Kevin saw a troubled young woman who desperately needed to feel safe and supported. Sasha, like all the youth in our care needed guidance so that she could learn the skills she would need to ultimately, become a mature, independent adult once she aged out of foster care. Kevin and the other staff members were patient with Sasha, demonstrating time and again that she could trust them and that they were not going to abandon her as so many others in her life had. She learned coping strategies for the issues she had around aggression and found a sense of community and family in the staff and her housemates. Sasha was able to finally live and thrive, rather than merely survive. In school, Sasha did well. Throughout high school she worked as a waitress and, with encouragement from staff, saved money for college. Sasha says that Volunteers of America gave her a laptop but that was a symbol of so much more: they gave her all the tools she needed for success. Sasha went on to graduate from college and is now a Registered Nurse, working with the housebound. She is married with two children and, in her words, is “the mother I always wanted” and has created the family of her dreams.